Sarbaharapath | Siraj Sikder Works: Rely upon peasants in National Liberation War! Smash the winter campaign of the Pak military bandits and the anti-people activities of the six mountains’ lackey the Awami League Liberation Force fascist reactionaries! Spread Guerrilla war to broader regions! Siraj Sikder Works: Rely upon peasants in National Liberation War! Smash the winter campaign of the Pak military bandits and the anti-people activities of the six mountains’ lackey the Awami League Liberation Force fascist reactionaries! Spread Guerrilla war to broader regions! The Pakistani colonial ruling regime started their winter campaign that will be intensified and ruthless as soon as wide range of rural areas of East Bengal dries. The campaign will continue up to June-July of 1972. The aim of the winter campaign of the Pak military fascists is to wipe out the guerrillas of the Proletarian Party of East Bengal-led National Liberation Army and the Awami League fascist Liberation Force from the villages, clean the villages, hold mid term election in December and sustain colonial ruling system. The reactionaries of six mountains’ lackey the Awami League fascist Liberation Force is the additional problem that has been added to the problem of winter campaign of the Pak military fascists. They are trying to smash the Proletarian Party of East Bengal and its led National Liberation Force. So, in the context of winter campaign of Pak military fascists on the one hand, and the attack of the reactionaries of Awami League Fascists on the other, we need to solve the problem of our sustenance and development. In order to destroy the Proletarian Party of East Bengal led National Liberation Army and the Awami League fascist Liberation Force in rural area, the Pak military fascists will carry encircle and suppress or “search and smash” campaign. The first one they will apply to those areas where, they think there are activities of Liberation Army, for example, Front Area no. 1 [Payarabagan area of Barisal district was Front Area no.1—Sarbaharapath]. First they encircle the whole area, establish main camp in the important crossroads of exit ways of that region, impose curfew and manage twenty four hours sentry in area each camp covers. The main camp regularly communicate with the nearest big military base. Then they establish several sub camp inside the encircled region. Those are generally stationed in school building or brick built houses. From those camps, they carry the campaign “Search and Smash” in each and every village within that encirclement and surrounding areas, they loot everything, burn everything and kill everybody. In some cases, on gunpoint or with the help of national enemies, they forcibly use hundreds of people of surrounding areas to find out guerrillas and in looting, burning and killing. Sometimes, they use the difference of religion, language or nationalities and use a section of people against another. They continue the campaign until they are confirmed about the demolition of guerrillas, or until they (Pak military bandits) suffer defeat. Then they lift encirclement and disperse. “Search and Smash” campaign generally starts in daytime, one after another village are destroyed. The killer army gathers in a place from different directions and return to the urban base after carrying whole day massacre. In encirclement and suppression, or ‘search and smash’ campaign, most of the cases, the Pak military bandit units advance by aimless firing targeting bushes, fields because they fear each bush, field and house of alien villages as enemy and are terrified by the possible surprise attack from any place. So, their position is easily discoverable. The national enemies who fled from cities, national enemies of surrounding areas, and their secret and open agents in villages accompany military fascist bandits and guide them which way to go, carry loot, killing and burning; they manage their shelter, supply them information, search for the guerrillas and help catching suspected persons. With proper information, the Awami Leage Liberation Force fascists encircled some of our units, disarmed some cadres and killed them. In Tangail, being informed by a chairman (Union Council Chairman—Sarbaharapath), they brutally killed our two guerrillas by cutting their bodies and putting salt in their injured places. In many places, they declared death penalty to our cadres. With the faith of simplicity, we recruited some ex-Awami League and its led Liberation Force related intellectuals and lumpen proletariat to our Guerrilla Army and saved them from Pak military fascists. But when they got the contact of Liberation Force returned from India, they were motivated by them and abandoned the group, treacherously informed them whereabouts of our cadres and units and joined the Liberation Force. In some cases, some ex-Awami league and its led Liberation Force related feudalist, bourgeoisie and intellectual sympathizers who survived by our shelter, became informer of India-returned Liberation Force. In some cases, in excuse of unity talk, they betrayed in unity table talk, arrested and disarmed our cadres and gave them death penalty. In that, people intervened; they covered us and asked them to kill them first before killing us. Being afraid with the intervention of people, they were compelled to free our cadres. In some cases, our arrested cadres could flee. Our guerrilla force developed from zero, they are few in number, are armed with guns and old model rifles; all guerrillas are not armed because of lack of weapons, they are not used to combat the Pak military fascists. These are their weaknesses. On the other side, their strong aspects are that their discipline is of high quality, they are waging just war in own country, are steeled through national enemy annihilation, are used to night movement, have firm bonds with different units and higher ranks, there is a correct political party to guide the guerrillas, through political training, they are motivated to sacrifice and are much related to masses of people. The strong aspects of the Pak military fascists are that they have state power, modern weapons, feudalist religious morale, high communication system and arduousness. But their weak aspects are that they are waging an unjust barbarian war in a foreign country and they don’t have people’s support. They are few in number and are waging war in alien villages. The strong aspects of the Awami League Liberation Force fascists are that they have modern weapons, men, India is helping and giving them support, imperialists are helping and giving them support via India, and they have some people’s support too. Their weak aspects are that they torture people, have no leadership of a revolutionary party to guide them to correct path, they have sold themselves to six mountains, are waging counter-progressive war from imperialist interest to establish Indian and imperialist colony, they have less coordination among them, they engage in clashes among themselves, and they are not related to people. As a result of our weaknesses and enemy’s strength, we have to wage defensive war and the war will be protracted. As result of our strength and enemy’s weakness, we can counter-encircle the weaker parts of offender enemy and rapidly smash them. In this way, slowly we shall recover from our weakness and enemy’s weakness will increase. At last they will be crushed by us. The Pak military fascists, due to their lack of numbers, are compelled to divide them into smaller units (2, 4 or 6 persons) in encirclement and suppression or “search and smash” campaign. Consequently, some of their smaller units get weakened compared to the whole. As they don’t have people’s support and people don’t cooperate with them, they don’t have proper information about guerrilla positions. As they are waging war in alien areas, they don’t know roads and ways, so they possesses gap inside their advancing units, also gap remains inside their encirclement. Our guerrillas may take position inside the gap of different advancing units of Pak military bandits, may search and follow the weakest unit, mobilize some guerrillas, wage surprise attack on the bandit gang in opportune place and crush it. Guerrillas may be deployed to resist any possible re-enforcement to assist the attacked unit by any other neighboring units. Guerrillas will completely encircle the bandit unit, make net of firing (field clearing firing—Sarbaharapath), make sure that no bandit is able to flee; they will rapidly smash the enemies, take the injured and captives, collect weapons and uniforms and disperse. If possible, we have to attack another bandit unit. Our forces have to be concentrated to attack mobile enemy in this way; we have to stay secret until attack starts, if necessary we have to take cover under bushes of plant, leafs and make ambush by taking cover under bush, bamboo and banana forest and houses on the trail of enemy. If erroneously, we attack stronger enemy or for other reason we can’t be able to rapidly smash them, we have to rapidly deploy a few guerrillas to stop the enemy by cover firing while our most of the guerrillas will disperse. The remaining guerrillas will disperse later. When the Pak military bandits camp in a building or stay in huge in number, we shall not attack them. We shall make pre-prepared ambush attack upon the mobile enemy only. We shall attack when we are sure that we can smash the enemy. If it is not possible to smash the enemy and capture their arms, we shall not waste a single bullet; that is, we shall not wage loss war. If enemy is totally smashed, we can seize their arms and ammunitions. We can diminish their strength, break their morale, increase courage of people and guerrillas; we can also get stronger by being equipped with enemy’s arms. We have to add people’s resistance with our attack. With the help of people, we can do many things like digging roads and make it field, planting sharp edge poisonous bamboo or betel-nut trees on the enemy trail, and putting a cover to camouflage it, planting poisonous sharp edge stick in such canals that enemy passes through, digging foot size hole on the road, planting iron stick in it and covering it with level of road to camouflage, making ambush from the bushes of villages with poisonous arrows, spears and harpoons, making grenade trap on the way, planting mine and if possible train bee and make trap with it. Thus, collective war of guerrillas and people can inflict huge losses to the Pak bandits. This type of coordinated combined war can be waged in our stable or unstable base areas that are liberated from national enemy, where people are on our side and enemy will not get any information. So, the military bandits will have to be lured deep inside liberated areas and have to be trapped in the sea of coordinated war of people and guerrillas. So, despite lack of our arms and number and quality of soldiers, if we implement the method of gathering most of the guerrillas, people’s participation in war and mobilization of guerrillas who are trained in revolutionary politics and motivated to sacrifice, that will be many times stronger than the weaker section of Pak military bandits. Then, though inferior to the whole, we are superior to the part. Thus, in context of encirclement & suppression, we take the line of defensive war, while by counter-encircling their weaker section and destroying them, we apply offensive tactics in defense. When the Pak military bandits attack us with huge strength, guerrilla region is smaller, people don’t take part in war, and strength of different units of Pak military bandits is higher than our attacking capability, we shall have to divide us in groups and get out through the gaps of encirclement. We have to expand guerrilla war in neighboring enemy regions. If we have other neighboring regions of our own, we can move to there. In enemy regions, we can take shelter among agricultural workers, poor peasants, lower middle peasants, workers and sympathizers. If that is not possible, we can take shelter in bushes, forests and vast green grains. We should have pre-preparation about where to transfer in case we can’t sustain in encircle-suppress campaign. Otherwise, we suffer losses and difficulties by being transferred under pressure. For instance, transfer from Front Area No. 1 under the pressure of Pak military bandits. Guerrillas should take shelter in the house of agricultural workers, poor peasants, lower middle peasants and workers (in both enemy areas and liberated areas), recruit guerrillas from them, build up party among them and keep continuing national enemy annihilation campaign by solely relying upon them. In enemy areas, guerrilla activities have to be carried with initiative, flexibility and plan. Different guerrilla units should be specified place and way of contact and responsibilities. Every unit should have power to function freely in enemy areas outside encirclement-suppression. After encirclement is lifted, the guerrilla force will again return to the base area. That is why we should not make big stores in unstable base area in plain land, and should keep such materials which we can carry. Among seized materials, sellable ones should be sold and distributable ones should be distributed among the people. In these unstable base areas, maximum emphasis should be paid to build one or one more strong regular force under the leadership of the party. The key to establish base area lies in it. The way we have to build army formation is that regular guerrilla group to be formed with the recruitment of high quality guerrillas from irregulars, platoon from regular guerrilla groups and company to be formed by taking several platoons; we have to develop party organization in it, manage political work in it, make it mature through war, make them efficient in different works including making propaganda activities among the masses besides war, building party organization among the people, arming them, helping them establishing their political power, organizing them in mass organizations. In this way, an invincible army will develop that is motivated in politics, connected with the people and guided under the party leadership. In unstable and stable liberated regions, we have to combine secret work with open work. In case our army and open cadres transfer due to encirclement-suppression or any other reason, the underground cadres can build and guide party organization, village militia, local guerrilla group, village organizing committee, and other mass organizations and keep contact with higher rank. This is why we must build party organization in stable and unstable base areas. When party work will be a little open, main section will remain underground; in enemy area, party work will be fully clandestine. Therefore, we have to create such a situation that new national enemies through new encirclement-suppression, can’t cause any harm to us, or if the Awami League fascist Liberation Force seize our area, we may continue our work. If national enemy-free areas expand under our leadership and a part of that goes under encirclement-suppression, we can transfer to the other part. When in front area no. 1, a part of our liberated area was encircled by the Pak military bandits, some parts remained out of that. This is what Chairman Mao said that the main condition of sustenance of guerrillas in plain land is expansion of base areas. As soon as we start guerrilla activity in a certain area, we have to put emphasis on the question of expansion. During guerrilla activities, people from far distance come with list of national enemies to annihilate and invite guerrillas. On the basis of investigation, guerrillas will accept invitation; first they will go less distance for two/three days, then they will go far for more days. Thus, guerrilla warfare will spread in far regions, and guerrilla groups will learn how to work independently. The regions, from where we didn’t get invitation, but we need those to spread guerrilla war, we have to send courier group or cadres. Its task will be to investigate about national enemies by working underground among agricultural workers, poor peasants, lower-middle peasants, workers and sympathizers, manage shelter for guerrillas and recruit local people. Based on their work, guerrilla units will come. They will annihilate national enemy, the courier team will advance farther. Behind it, guerrilla unit will go, organizational unit will follow the guerrilla unit. The task of organizational unit or individual will be to develop party among agricultural workers, poor peasants, lower-middle peasants and workers, and make study circle among those who want to join party from village militia, local guerrilla group and intellectual and patriots in areas where national enemy has been or is being annihilated. Expansion should not be aimless or without plan. Important aim of expansion should be making connection among different guerrilla regions, base and front areas, advancing by avoiding big mobilization of Liberation Force reactionaries, and marching forward to suitable regions for guerrilla war. Rivers and canals are connected to our guerrilla regions. So, we have to work in rivers and canals among boatmen, fishermen and people in river islands and recruit guerrillas or deploy guerrillas with boat for naval guerrilla war in rivers. They will wage guerrilla activities by working as boatmen or fishermen. Guerrillas of plain lands adjacent to rivers and canals will easily transfer from one region to another through boat. Naval guerrillas can independently or combined with plain land, wage guerrilla war in river islands, on the banks of rivers and canals and in rivers and canals. They will be able to disrupt enemy communication system. In this way, in East Bengal, in especially plain land and rivers and canals, if combined guerrilla war is waged, it will open the door of new possibility. Urban guerrillas will annihilate those national enemies who flee from rural and riverine guerrilla regions. In this way, we have to combine urban work with rural revolutionary war. In case of Awami Leage Liberation Force reactionaries, we have to take some particular steps. Except agro workers, poor peasants, lower middle peasants, workers, youth league, mass organization people led by party, none should be recruited directly to guerrilla group. Those who among rural intellectuals, ex Awami League, Liberation Force and other patriots want to join party, with proper investigation, they should be organized in study circle first, there they will have to work among peasants, have to have training on party line and go to operation with guerrillas. Thus, those who are eligible to join party can be recruited to Guerrilla Army. Originated from intellectual, zamindars (Zamindars are bigger landlords—Sarbaharapath), rich peasants, middle peasants and other exploiting classes who don’t want to join study circle or party, must be stopped from being directly recruited as guerrilla, if recruited should be ousted. Regarding discussion, the principles of discussion must be obeyed. 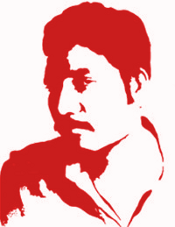 Guerrillas and party cadres will work by strictly keeping secret in areas where there is activities of Awami League Liberation Force, mainly rely upon workers, agro workers, poor peasants, lower-middle peasants, stay scattered in their houses, party will build guerrilla organization among them and work in wider regions by relying upon them. Peasants are the most revolutionary class in villages. National Liberation War is mainly their war. Our existence and the victory of revolution depend on how much we rely upon them, arouse and organize them. In rural area, we have to firmly materialize the free distribution of lands of national enemies to agro workers, poor peasants, and reducing exploitation of patriotic zamindars, jotdars (Jotdars are smaller landlords—Sarbaharapath) and usurers. Peasant masses will absolutely support us through our materialization of the program of land distribution and lessening of feudal exploitation. By opposing that program, the Awami League Liberation Force reactionaries will be recognized as enemy of peasants. This is the point that will be the important distinction of our work with them. By relying upon them, via carrying guerrilla activities, we can smash the six mountains’ lackeys. By relying upon masses, our seventeen guerrillas attacked two hundred eighty seven of those reactionaries, killed five while the rest of them fled fearing death. At last they were killed by the Pak military bandits. We can wage guerrilla activities in the above mentioned way against the reactionary invaders of Awami League Liberation Force infiltrated in our liberated areas, and we can keep our rule in our areas by overthrowing and ousting them. Recently, questions have arisen among our guerrillas about whether or not we can sustain guerrilla war in plain lands, confront Awami League Liberation Force’s reactionary attack and work in such areas where they are present. The question whether or not we can sustain guerrilla war in plain land has arisen from the intensity and brutality of encircle-suppress campaign of the Pak military fascists in Front Area No. 1 and from the concept achieved by the cadres through reading books that hills are suitable for guerrilla war. The last question arose from the presence of Awami League Liberation Force everywhere, their ‘Naxal’ killing line, encircling and disarming our units by them in No. 1 and other Front Areas, captivating and killing our cadres by them and at last, withdrawing our guerrillas from different fronts. Most of the areas of East Bengal are plain land and riverine. The Victory and defeat of revolution of East Bengal depends on resolving the problems of initiating, sustaining and developing guerrilla war in these plain lands and rivers. Last several months experience already proved that unstable or shift able liberated areas can be established in plains. Front area no. 1, 2, 5 [Front Area no.2 & 5 were in Barisal and Faridpur districts—Sarbaharapath] and that of Pabna and Tangail are proofs of that. These areas are free from national enemies, guerrillas move freely, political power is being or has been established. Experiences of Front Area No.1 and others prove that the encircle-suppress campaign of the Pak military bandits cannot smash us, and in case we cannot break that encirclement-suppression by making counter attack, guerrilla war can be expanded to newer regions and sustained by crossing the encirclement. Thus, after the encirclement and suppression over Front Area no. 1, guerrilla war spread in some regions of Barisal district and sustained. But there was Awami League Liberation Force reactionaries inside guerrillas, who joined the liberation force reactionaries returned from India, betrayed and informed them our guerrilla positions. In some areas, reactionary jotdars, zamindars and intellectuals passed our information to the Awami League Liberation Force reactionaries which inflicted huge losses to us. The reason behind the set back is: not making party organization in guerrilla groups, not giving political lesson to guerrillas, militarism in leadership, not having good relation between high ranks of commanders and political commissars on the one hand and members on the other, not doing organizational work among the masses, not relying solely on peasants and not keeping proper secrecy regarding guerrilla positions and relation between higher and lower ranks. So, if we eliminate those reasons, internal betrayal and apostasy will be stopped and none will be able to separate us from people and annihilate us. Moreover, directly guerrillas have to be recruited from revolutionaries of agro workers, poor peasants, workers, Youth League and party-led mass organizations. Those intellectuals and other patriots, who qualify for joining party by joining study circle, may be admitted to guerrilla force. Guerrillas and party cadres must leave living habit of camping, should take shelter scattered in houses of agricultural workers, poor peasants, lower middle peasants and workers, have to take part in labor with them and organize them. In this way, cadres will be remolded, and reliance on peasantry will develop and inseparable relation with people will develop. In this way, an invincible army will develop which is formed with peasants, workers and revolutionaries and connected with people. The Awami League Liberation Force reactionaries are isolated from people; they stay at boat or in houses of jotdars and mahajans (Mahajans mean usurers—Sarbaharapath). They recruit guerrillas from those who have minimum junior school pass qualification, that is, who came from Jotdars, Mahjans, rich peasants and bourgeoisie family. In rural areas, society of agro workers, poor peasants, lower middle peasants and workers are totally different than that of jotdars, zamindars and rich peasants. By taking that opportunity, it is absolutely possible for us to easily do clandestine work among agro workers, poor peasants, lower middle peasants, and workers, recruit guerrillas from them, annihilate national enemy, build party organization and smash and disarm the reactionaries of the Awami League Liberation Force. We have to work keeping serious secrecy in areas where there is the Awami League Liberation Force, recruit guerrillas one by one, stay underground, if necessary regularly change shelter, keep that secret, entering shelter at night and coming out early in the morning, if necessary stay at daytime by using method like staying on scaffold. We have to train guerrillas about secrecy and make propaganda by whispering and through poster and leaflet. Agro workers and poor peasants of one village have relation and familiarity with those of other villages. Thus through peasants of one village, we can make guerrilla group, party organization, annihilate national enemy and spread guerrilla activities to villages one after another. We have to use those types of intellectuals who can easily live a life of agro workers and poor peasants and work keeping serious secrecy. In regions where Liberation Force don’t stay permanent, but visit often, we should work in the above mentioned way. Our work is going on in three regions near Dhaka in that way in front of Awami League Liberation Force reactionaries. In some cases, they take shelter in the houses of our sympathizers or cadres. Soon, the campaign to disarm and overthrow them is going to be started. Experience proves that if we follow the above mentioned method in recruitment and work, we can expand and sustain guerrilla war in areas of Awami League Liberation Force reactionaries and areas where they often come, and at last we can capture their areas by driving these reactionaries out. The Awami Liberation Force fascists generally stay on boat moving. Generally they, stop at the houses of feudal zamindars, rich peasants, have reckless dish and drinking, free national enemies in exchange of money, take shelter in their houses, forcefully collect money, sometimes, they go to poor people’s houses and when they don’t get meat and rice, they beat them, on gunpoint, they use poor boatmen without paying, force people to carry weapons, torture women, commit decoity, damage people’s properties, especially burn Jutes, damage crops. Most of the members of Liberation Force are from the families of zamindars, jotdars, rich peasants and intellectuals, that is, of exploiting classes. They use guns to suppress local agro workers, poor peasants, lower middle peasants and workers. Regardless of enemy or ally they kill everybody, even their own people too. They do not carry propaganda among people, don’t arm them and don’t establish their political power etc. Other than uniting with patriotic revolutionaries, they took the path of disarming and annihilating them. With that aim, by the order of the reactionaries of the so-called Bangladesh government, they are working for the interest of six mountains. For all these reasons, in most of the areas, people are angered against them and are afraid of their terror. In some areas, people want to reward if anyone annihilate the reactionaries of Liberation Force. They want to overthrow both Pak military bandits and liberation force reactionary bandits. Very often there is no contact among different units of this reactionary bandit gang. They engage in fratricide, one group disarm or kill another. Although they have modern weaponry and men, they don’t have that military strategy and tactics, morale and reliance on people which is needed to confront encirclement and suppression or “search and smash” campaign of the Pak military bandits. Whose houses they use as shelter and whom they free, those national enemies will annihilate them by calling the military bandits. In some areas, people will also assist military bandits against them. It will not be possible for the big units of the Awami League Liberation Force reactionary bandit gang to sustain in face of winter campaign of Pak military bandits. They will break apart, many will lose their lives while many will go to India. Already many are going to India with hope for coming back next rainy season. As a result of arrests in Dhaka city, different unit members have lost contact. Consequently, the pressure created by the Awami Legaue Liberation Force reactionaries on us will diminish. In that situation, it will be possible for us to collect arms from the members of that bandit gang and establish our right in wider range of their abandoned areas. We shall be able to return to our old areas.